This lovely move-in ready home is located in desirable northwest Hanford and has an OWNED SOLAR system to offset all of your energy costs. Built by Lennar, this popular floor plan boasts a contemporary and functional layout with a spacious family room, open kitchen with granite counters, stainless appliances, pantry and breakfast bar; a dining area off of the kitchen for casual dining and a formal dining room that could also be used as an office or playroom. All bedrooms are good size and the bright master includes a large walk-in closet. The bathrooms include granite counters and tile floors and the master has dual sinks and a separate soaking tub and walk-in shower. The backyard has a finished covered patio and is fully landscaped. Additional amenities include 18x18 tile floors, blinds, indoor laundry, ceiling fans, tankless water heater, fire suppression system and within steps to the neighborhood park. 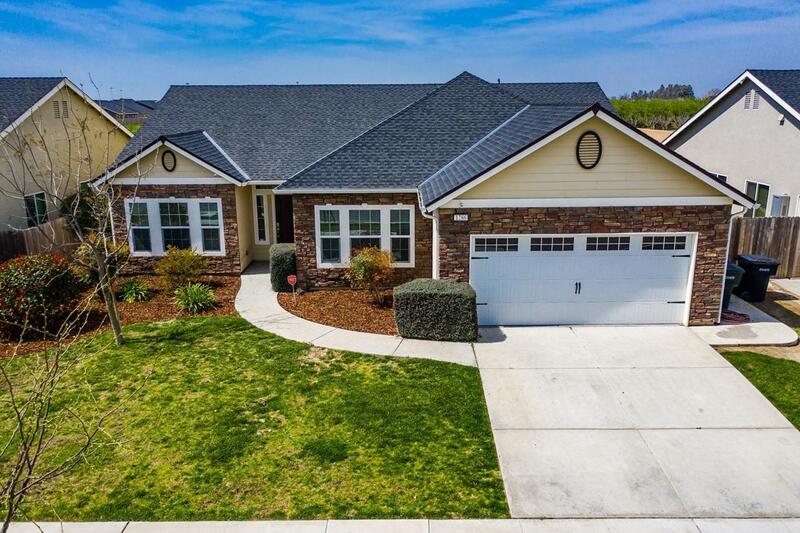 This is a perfect location for commuters to NAS Lemoore or surrounding areas.